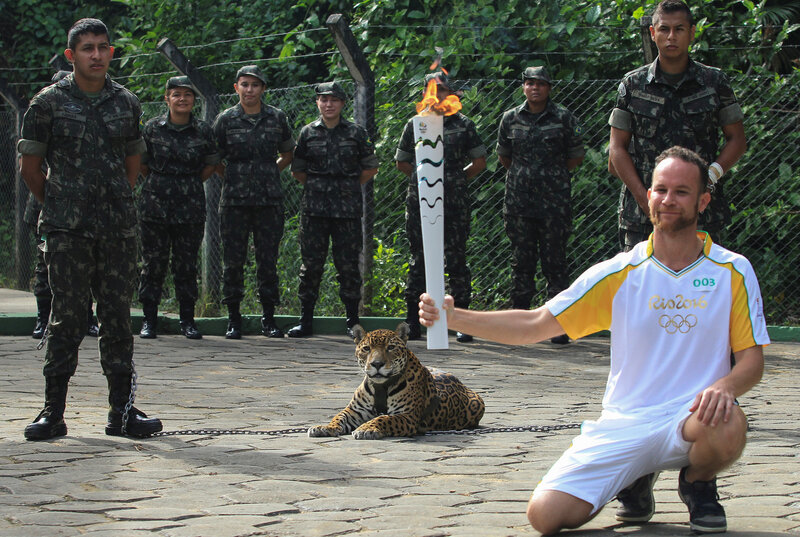 SAO PAULO -- Brazil's army says it had to kill a jaguar used in an Olympic torch relay ceremony after it escaped its leash and tried to attack a soldier. The army press office says Juma the jaguar was on display as part of ceremonies Monday at the Jungle Warfare Instruction Center in Manaus. It says that soon after the ceremonies ended, Juma escaped from his leash. When the jaguar tried to attack a soldier sent to recapture it, handlers shot the animal with tranquilizers. That failed to stop it, so the animal was shot with a pistol. The Army did not immediately reply to a request on Tuesday for more details.